Skyfront has quite a few big things planned for the upcoming weeks. More about each of these below. But what this also means is that the patches we will be releasing in the following weeks will be smaller than usual. We will concentrate on bug fixes and some minor updates but will be putting most of our efforts into delivering the awesome gamechangers coming in the first half of the summer! Now about those big fish we’re frying. As you may have guessed from the pic above, our primary goal atm is introducing our new Medieval Castle map. 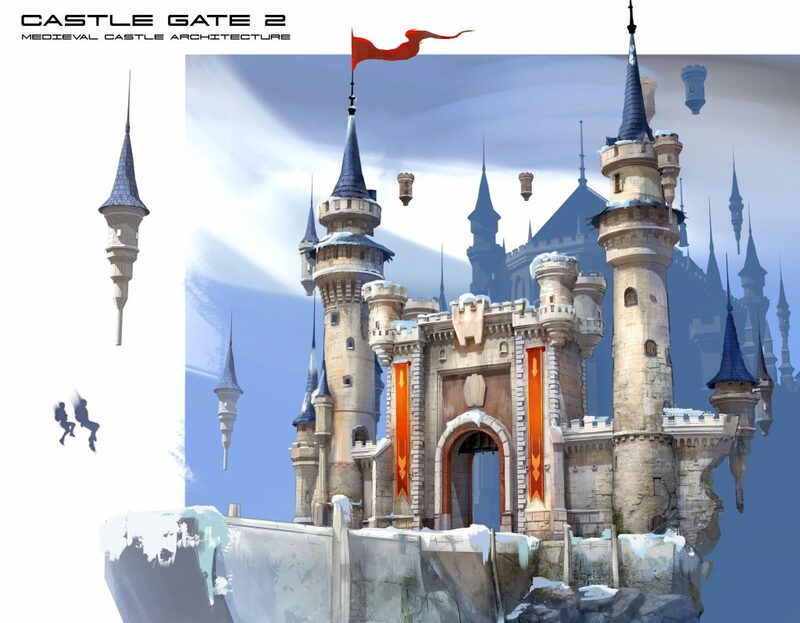 Our concept artist has spent the past months researching awesome German architecture to bring you a wonderous zero-G castle with lots of nooks and crannies that promote fast-paced combat. The size of the new map will be similar to that of our Greece map and we expect to complete it by mid summer. We, however, will not be the only ones making maps. We are working hard to integrate Steam Workshop into Skyfront. As you probably know, Steam Workshop allows you to create and test your own maps in your favourite games. Our team will be providing you with the necessary basic assets for Unity. What geometry and structures you choose to use is wholly up to you! We are beyond excited to see what awesome maps you create in our zero-G world! If you’re interested in creating content for the Workshop beta phase, contact us at sandra@skyfrontgame.com. The Workshop option should be up in about three weeks. The third behemoth of an update we’re working on is our new UI. 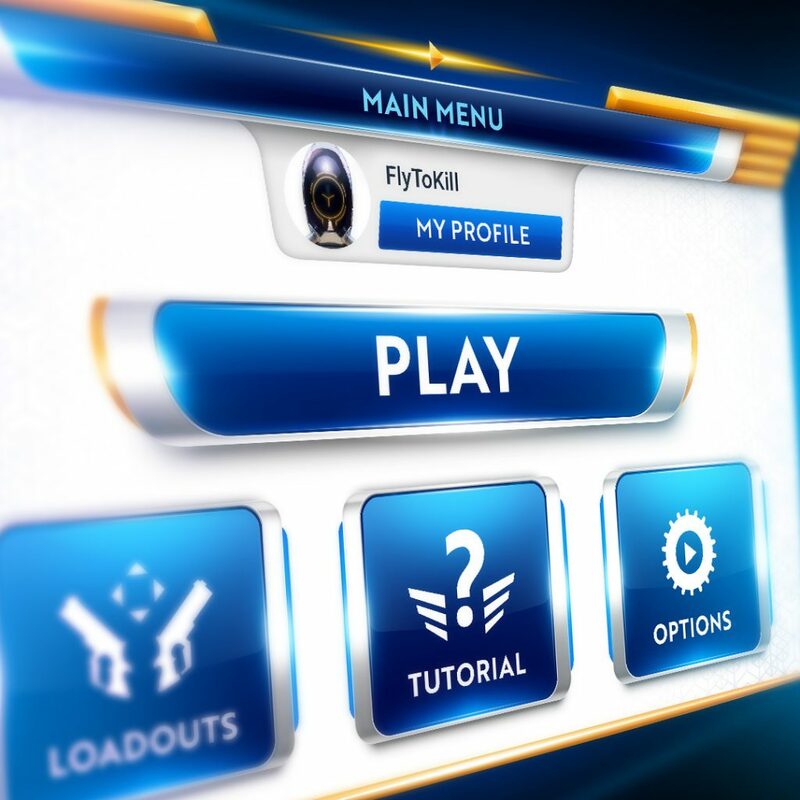 This includes revamping all UI elements from the main menu to in-game menus. We will also be tweaking the existing HUD on your wrist and will be creating additional HUD options. The update will also improve the UX by removing scroll functions and making everything button-based. We expect to launch the new UI by mid June.